When new, the side of this home showed the concrete foundation. 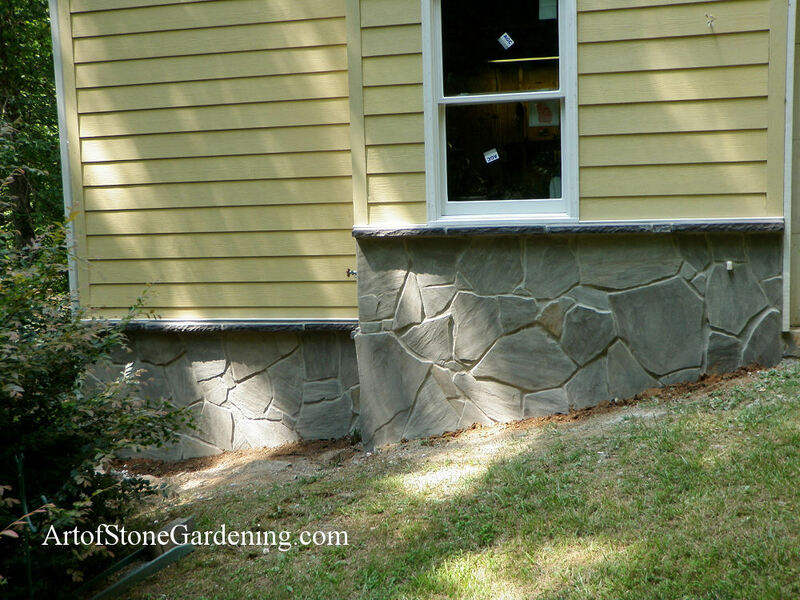 Adding stone on top of concrete is a simple way to dress up a house. We used a gray fieldstone as the wrap. The thin bead of stone on top is called a water table and helps stop rain from splashing up onto the siding.